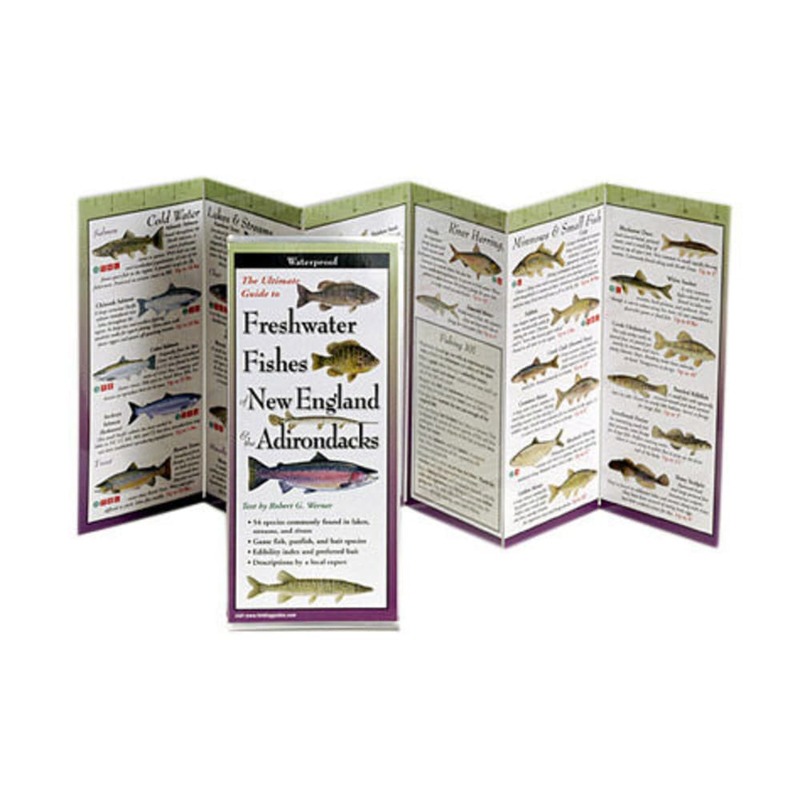 The Ultimate Guide to Freshwater Fishes of New England and the Adirondacks is a waterproof, laminated folding guide that's perfect for your tackle box or boat. Top border of guide marked to measure fish up to 24 1/2 in. Handy fold-out format: 6 panels each 4 x 9 in. Open dimensions: 9 1/4 x 24 1/2 in.